Yep, no doubt. Out there in the burbs, there’s a blossoming brew scene not to be missed, so much so that this section of town can now easily take two days to explore. Depending on where you’re coming from, (as with all our tour suggestions), hit these in an order that’s suitable for your final destination (home or a hotel). We usually go to the farthest away brewery first . . . and always indulge in some great food along the way. Day 1: Well, actually, before you get to the burbs, go to the Baker district south of downtown (almost to South Broadway), and enjoy a small, but mighty tap menu at TRVE Brewing. This place certainly feels a little haunted with its dark walls, eerie black and white photos from the plains, and lantern-like lights. But it’s well worth a pint of anything they’ve brewed, especially since you get to enjoy one of the largest indoor tables anywhere, (really, this reminds me of something that Beowulf would have drank mead at with his companions). Now head farther south down I25 to Lone Tree Brewing Company near the Park Meadows Mall, (no! don’t stop for shopping!). Lone Tree has 6 oz. samplers, so pace yourself and split the tray with a friend. And be sure to try the stellar Puddle Jumper Pale Ale. 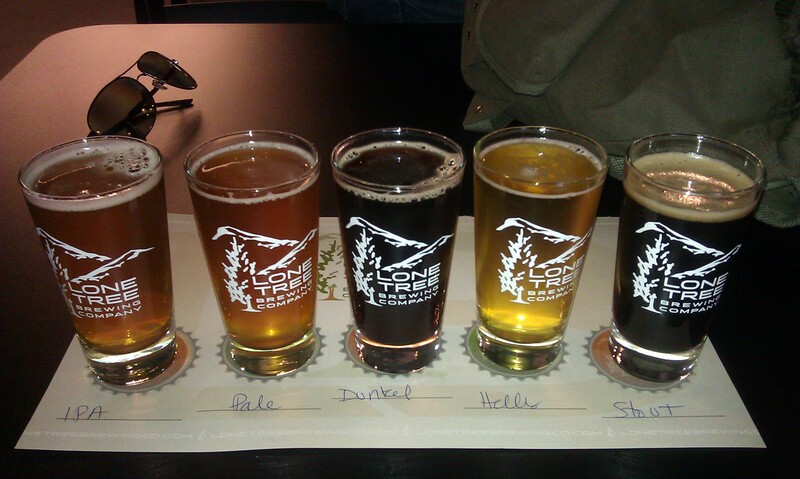 Lone Tree, like the other breweries on this tour, sets a great example for what a neighborhood brewery can be . . . we need one of these in every area of town. Then head east to Elk Mountain for delicious brews over a game of cards or cribbage or chess (a good way to stimulate your brain after a heavy hop intake). For lunch (or a late afternoon snack), enjoy pizza and beer at Dad & Dudes Breweria. The Prohibition Pizza, accompanied by their Dank IPA, is an ironically lovely meal. And this is probably an excellent stopping point. Head home after some good food, and pick up the rest of the Southeast tour tomorrow . . . can you believe there are so many breweries this far away from downtown worth your time? Take a Saturday afternoon drive and believe. Day 2: This section of the Southeast tour is slightly closer to Downtown Denver and could be easily combined with a visit to Vine Street Pub and Brewery and/or other Downtown destinations. To begin, taste a wide variety of award-winning beers at Dry Dock and pick up home brewing supplies with your beer-in-hand at the Brew Hut next door. There’s no better way to buy home brew supplies. 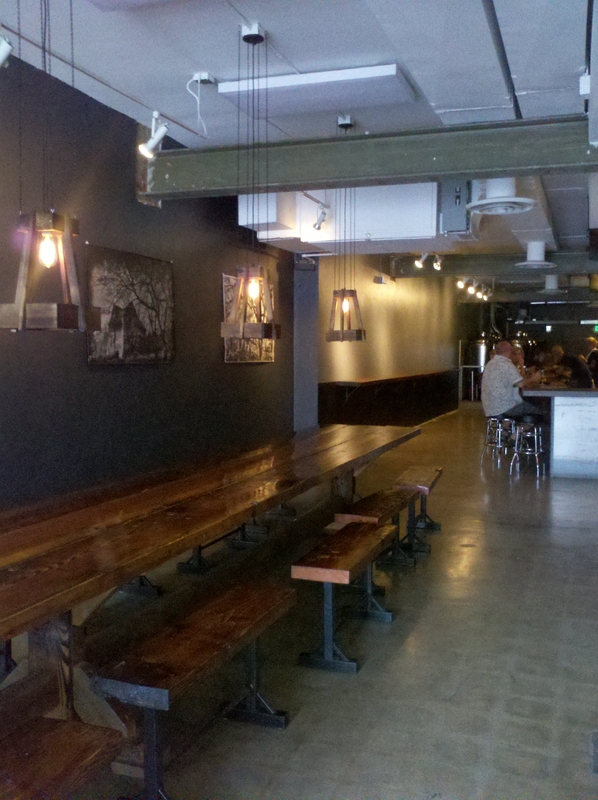 Move towards the Copper Kettle, another newer spot in Denver (this was one of our favorite breweries to open in 2011). If it’s around, don’t miss their 2011 GABF Gold Medal Mexican Chocolate Stout. Still thirsty? That’s crazy, but Bull and Bush is just down the street . . . nice and dark for a romantic dinner and a few more beers at the end of a long day. They now have a hop rocket, called the Hop Inciter 3000, to give your beer an extra lupulin boost. Or, head towards downtown to make a night of it. But promise us that you’re still okay to be enjoying Denver’s finest craft beer.